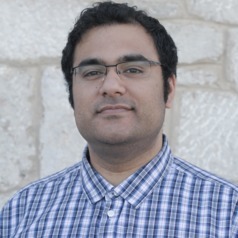 Wasim is an Assistant Professor in Digital Business at Northumbria University with research interests in Digital Marketing, Digital Society, and Public Health. A recent area he has been exploring relates to visualising Twitter networks of high and low impact brands across brands and health topics. He completed a PhD analysing social media data related to infectious disease outbreaks at the Information School, University of Sheffield. His research combines theoretical aspects underpinned by industry thinking as he has completed an internship with Manchester United. Wasim has contributed in advancing the field of social media research tools for marketing, and during his PhD he developed an extraordinary profile for digital marketing via social media. He has delivered over 50 social media and digital marketing talks across the UK and in China, Germany, Switzerland, Croatia, Belgium, Netherlands, Australia, and United States.